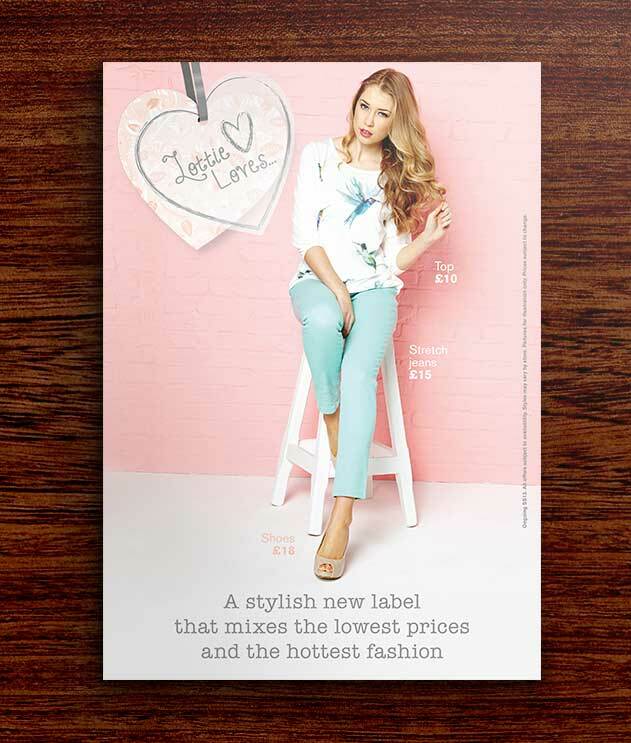 Ladies fashion brands - We Are Brave. 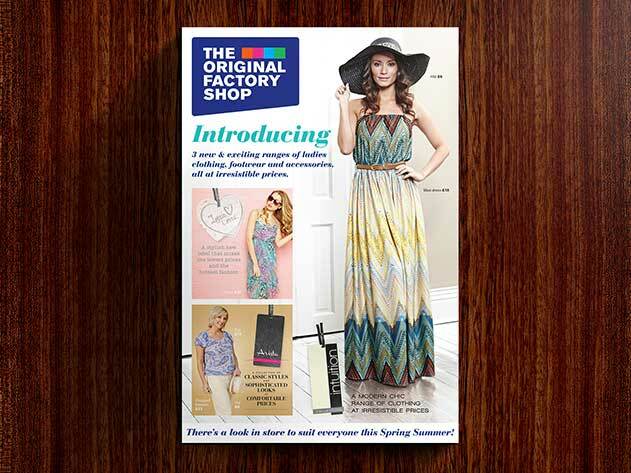 We recently helped national retail giant, The Original Factory Shop, launch 3 new and exciting ladies fashion brands in their stores all across the United Kingdom. With over 180 stores nationwide they attract a huge number of customers across a wide and varied range of different demographics. The Original Factory Shop identified three groups of customers that they would like to target and we created 3 unique identities for the brands that would engage effectively with each group. 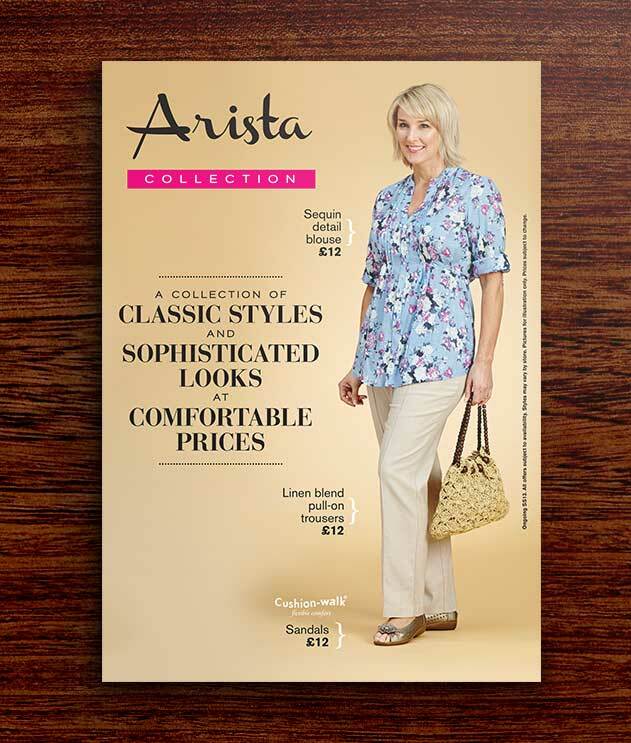 Each brand uses a different look and tone of voice to appeal to the different customer profiles. 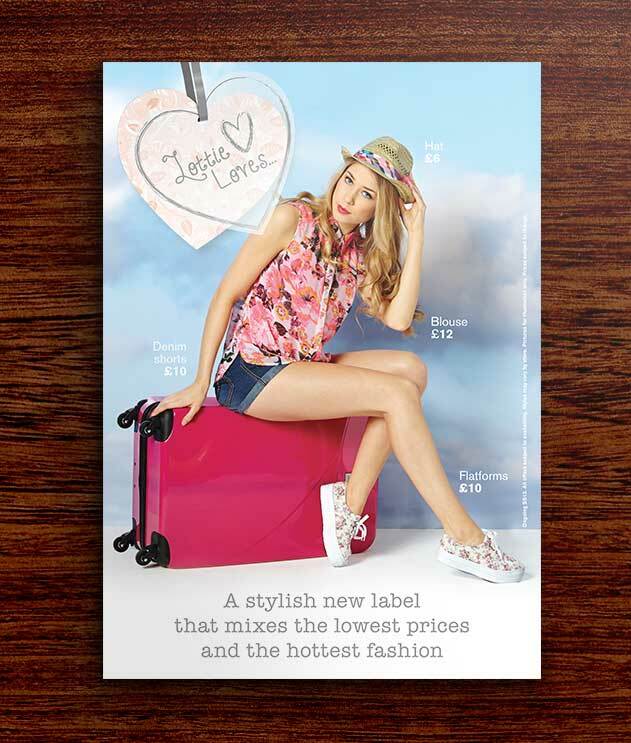 ‘Lottie Loves’ A brand that’s funky, stylish and always right on trend. 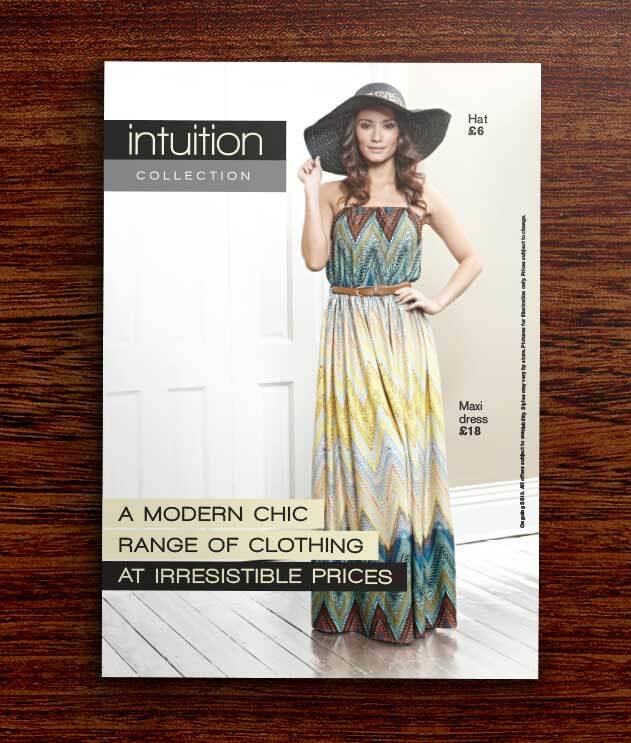 This brand is ideal for students and young professionals looking for an affordable way to keep up with the latest fashions. 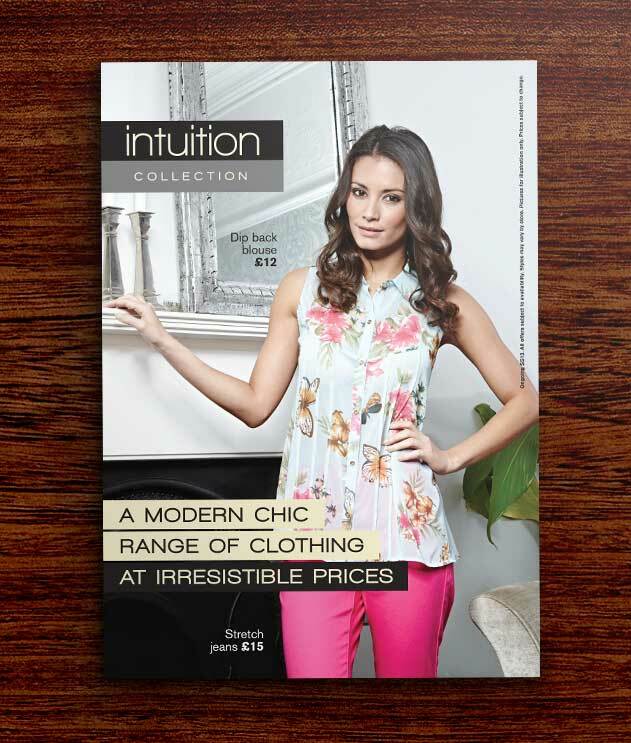 ‘Intuition’ This brand is chic, functional and affordable; perfect for working mums and more mature ladies to look stylish and stay on trend. 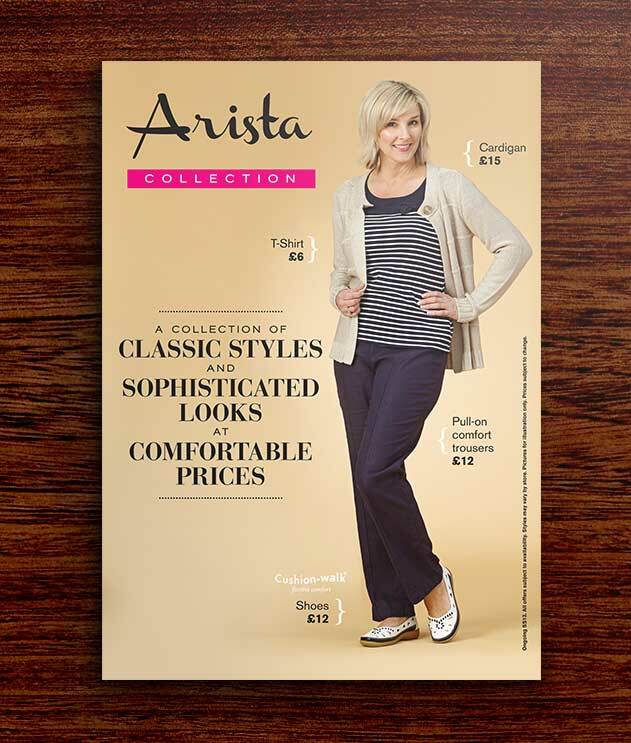 ‘Arista’ A sophisticated, stylish and comfortable range of clothing that provides more modest fashion for older ladies. 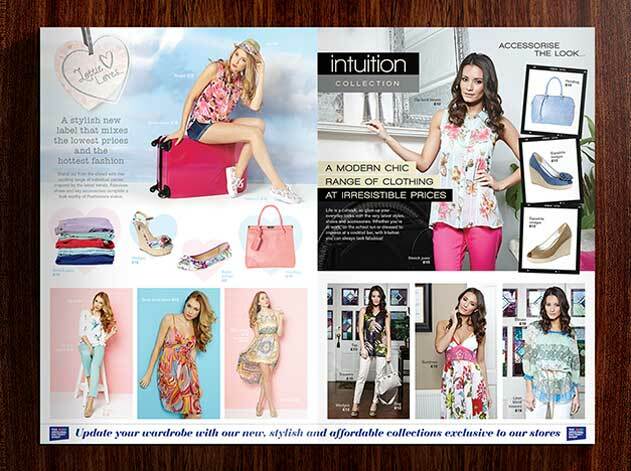 Our work introduces the brands to their audience and appeals to what each group wants and desires from their clothing. 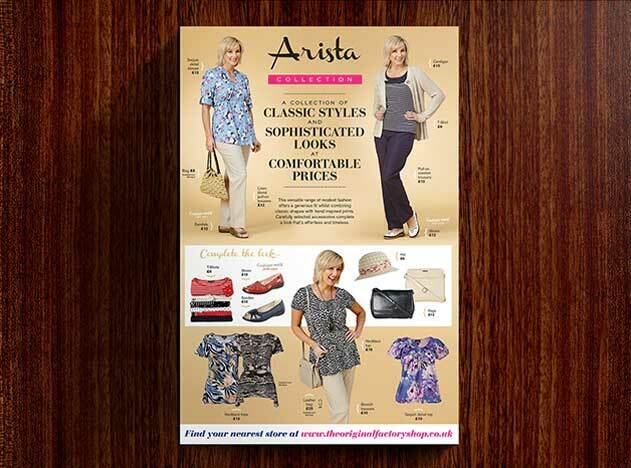 We created a range of in-store point of sale as well as a 4 page insert that was mailed out to 3 million targeted homes across the United Kingdom.